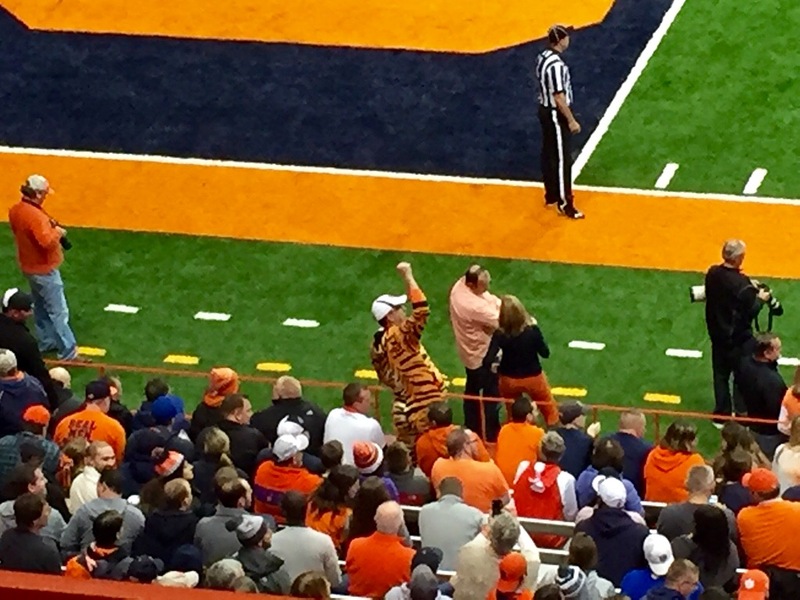 A Clemson Tiger fan celebrates in Syracuse’s Carrier Dome. The No. 1 college football team prevailed Saturday in the Carrier Dome. But the Syracuse Orange gave the Clemson Tigers a hard time. The final score was 37-27, and the game was wilder than that. Clemson went back to South Carolina undefeated, still hopeful of winning the Atlantic Coast Conference championship game, reaching the four-team playoffs and with the big trophy in its dreams. A TD for No. 1. Syracuse is now 3-7, with everybody in Orange wondering for Coach Scott Shafer will return for his fourth season. I wrote about that tough call for new Syracuse athletic director Mark Coyne for my weekly Mark It Up community column for Syracuse Public Media site WAER.org. 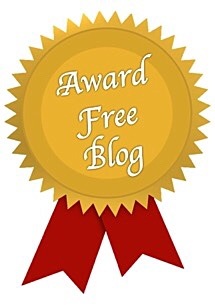 You can read it by clicking the link below. For fans, it’s all about the team. For Shafer and his assistant coaches, it’s all about their lives. 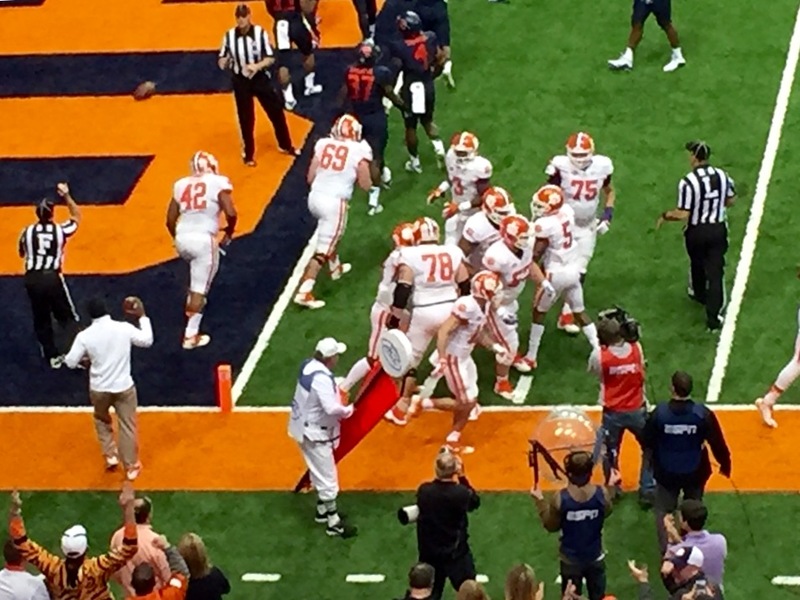 If you want to gauge the passion that still fires in Syracuse for a football team that lost its seventh straight game after opening with three wins in a row, I shot with my iPhone 6 this short and loud video clip with Clemson moving the football the first drive after the home team scored a third-quarter touchdown to pull within seven points of the No. 1 team of the nation. Do you think too much emphasis is placed on winning in college sports? Do you think about the lives of coaches and staff when decisions are made about hiring and firing? What makes a good coach in your eyes? The Orange keep giving top teams a run for their money. When will they break through? Not this season, I’m afraid, Scoitt. Opportunities gone..
They’re the only team to beat Notre Dame, and they needed a hurricane on their side to pull off that one! They’re darn speedy, Austin, fast as the wind! Yes. I think there is too much emphasis. And I live in Ohio…..and enjoy the madness. I’ve seen some great things done in the name of Buckeye football. And have hung my head at a few things as well. But mostly, it’s been very very good. sorry about the orange, mark, but it does seem like they gave it a good try. i love college sports and coaches too! You have the location, location, location to love your alma mater, Beth. Now you have the football coach to go along with a basketball coach we know very well here in Syracuse as well. Mr. Beilein coached for a few extremely good years at the school on the other hill, Le Moyne College. I didn’t know that – cool! Well fought bro Mark, and proud of your team. A+ for effort, if that means anything. You have OSU to give you the great wins, Robin. Bowling Green is doing very well this season, too! And you need not, Van.